As we take in more than 80% of information through our eyes, it is important that we take good care of our vision. Finance 4 Eyecare makes it super easy to spread the cost of optical treatments and products using smoooth interest-free finance. We work closely with our partner bank, Klarna UK to provide next-gen finance facilities to the UK optical sector. This collaboration between Klarna UK and Finance 4 Group continues our philosophy of seeking out advancements in technology to deliver best-in-class point of sale solutions to practices and patients alike. We know that you’re busy and the less time spent administrating your finance applications the better. We’ve recently developed – from the ground up and with you in mind, a brand new finance management system that takes the pain out of processing and tracking finance applications. Our new system is ultra easy to use, in less than a minute you can create and send a new finance application to your customer for them to complete. Our patient finance helps convert more high-value sales of treatments and products, this in-turn will increase your profits. Our finance management system is at the leading edge of the industry, making finance applications a breeze. We can provide full staff training that will give you a detailed insight into the best ways to promote finance. Find out more about how we can help you offer smoooth payment options to your customers that helps make paying for their new glasses or optical care an absolute breeze. With the ability to slice up payments from anywhere from 6 months to 60 months you will see an increase in sales and appointments. Whether you are planning to purcahse new designer glasses or considering laser vision correction, we can help make the buying process really, really smoooth! Our payment solution allows you to spread the cost of your purchase – interest-free, by slicing up your payments from anywhere up to 24 monthly payments. If you would like to lower your monthly repayments you can spread the cost of your purchase over 24 – 60 months at a rate of 9.9% APR. 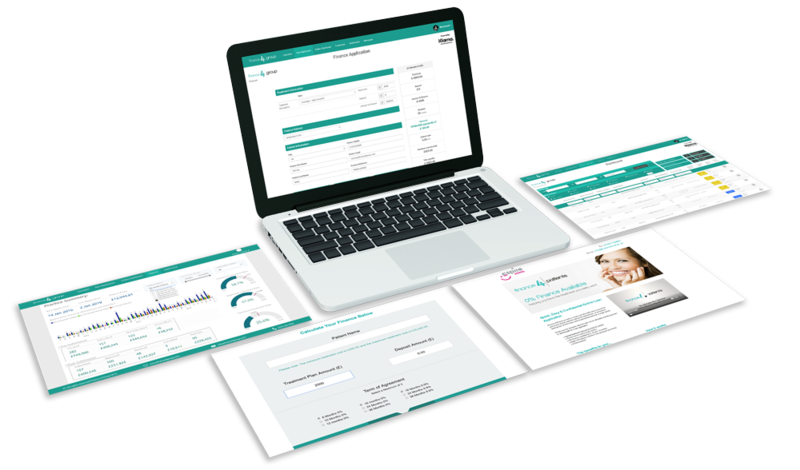 If you would like a full demonstration of everything that we use to deliver patient finance then you can book a demo with one of our consultants.